Are you curious about just how far your dollars go when you donate to the Delta Sigma Phi Foundation? We think it’s important to show you just how much of an impact your donation makes. Unrestricted donations allow the Foundation to put money toward current areas of need. 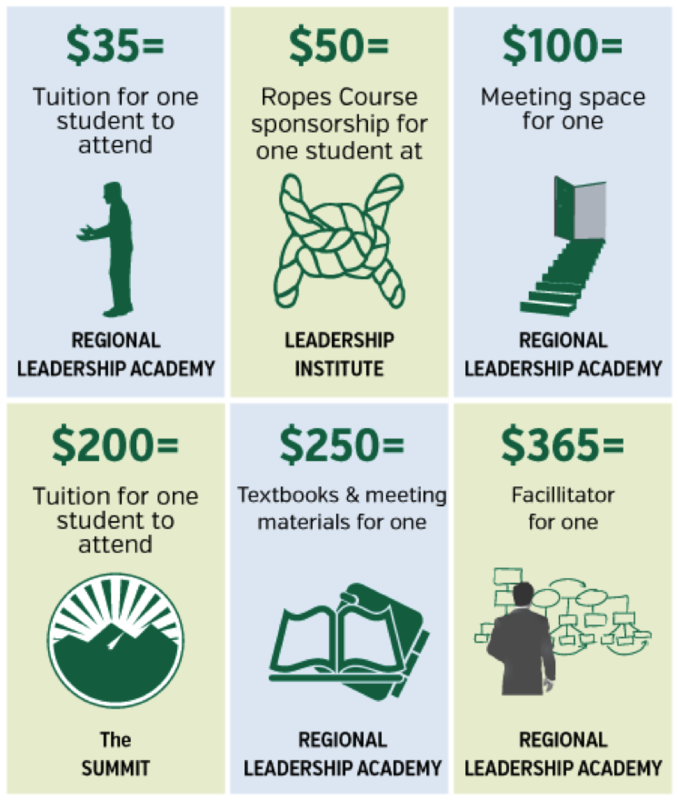 One of our biggest, recurring needs is funding programs like Regional Leadership Academies, the Leadership Institute, Bruce J. Loewenberg Summit and Presidents’ Academy. Your donations allow us to provide leadership programs to undergraduates that will positively affect their lives. Without you, these programs wouldn’t be possible.